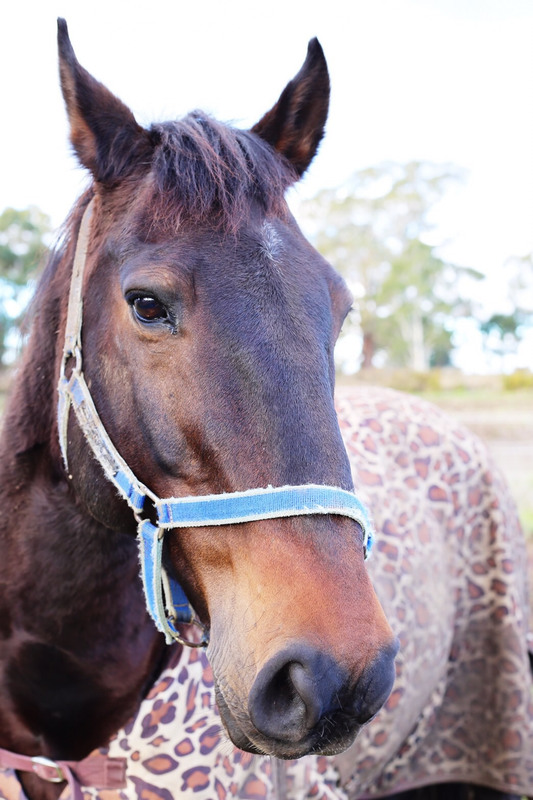 All about our chosen breed of horses and why they are perfectly suited to carriage work. 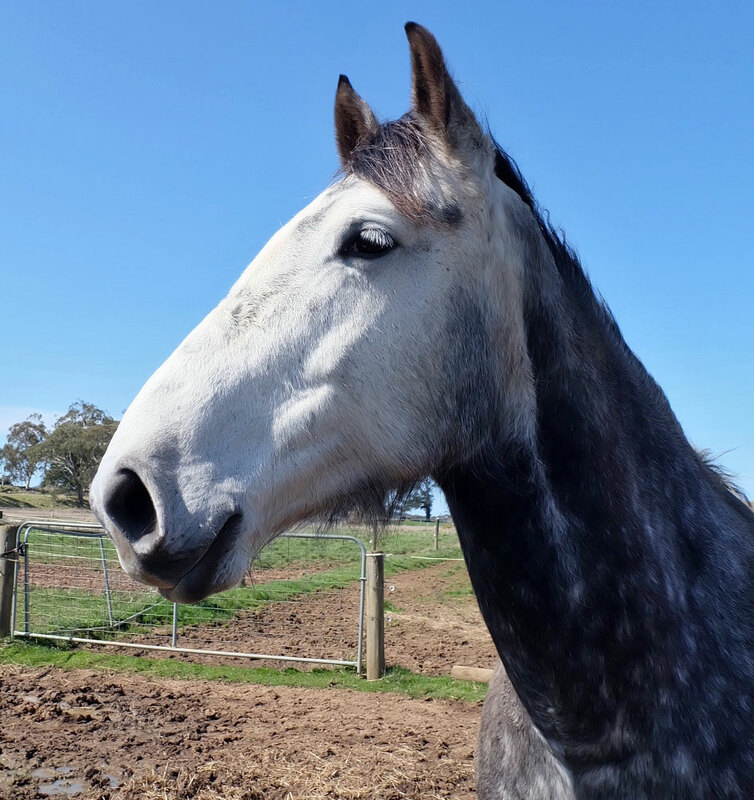 Our breed of choice for pulling carriages is the Percheron crossed with Standardbred horses, due to their strength, temperament and intelligence. Unfazed by crowds and city traffic, our draught horses have been bred specifically for this kind of work. We have thousands of years of breeding to thank for their innate ability to interact with humans in an urban environment. 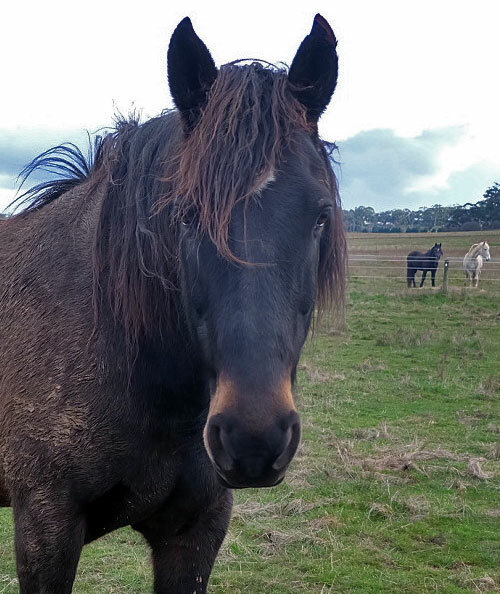 Our first Percherons came from Queensland in 1987, when they weren't yet available in Victoria. 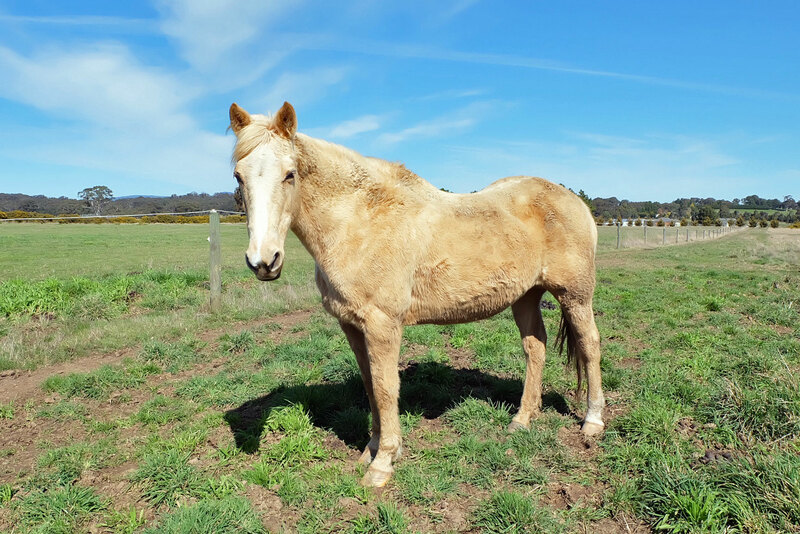 Soon after, we developed a longstanding relationship with a King Island breeder who has bred all our horses for the last 30 years. Our horses' health and wellbeing is our number one priority. We care for them as we would a member of our own family. They are fed the best quality hay grown on our farm, locally-sourced oats, and mineral supplements. Their teeth are checked and treated once a year by an equine dentist. 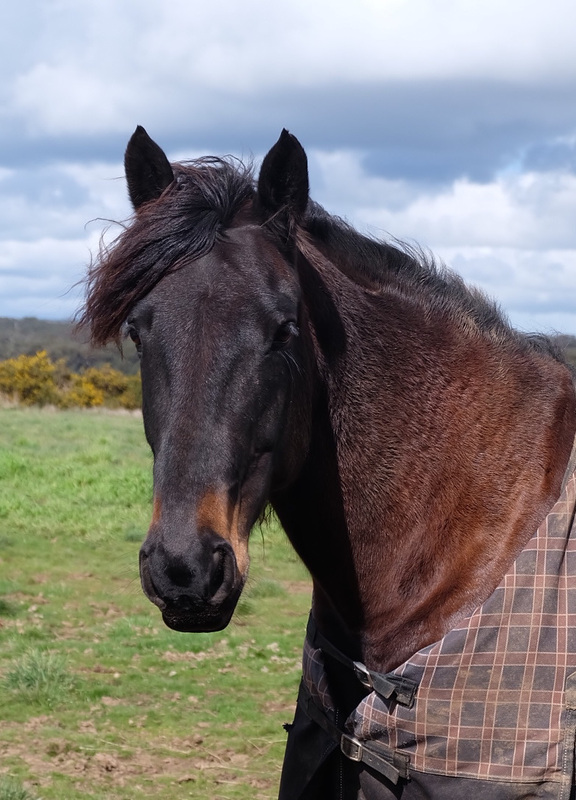 We provide them with regular veterinary care by an equine specialist. Their hooves are fitted and maintained every six weeks by under the guidance of an experienced equestrian farrier. While only one horse is required to pull our carriages comfortably, we use two as company for one another. During our tours, we avoid the busier streets of Melbourne and use service lanes wherever possible. 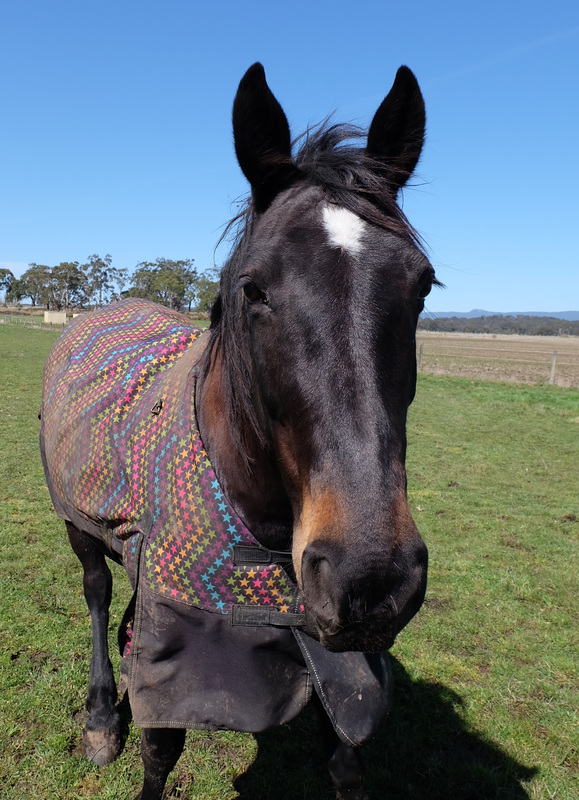 Our retired horses continue to enjoy a high quality of life. 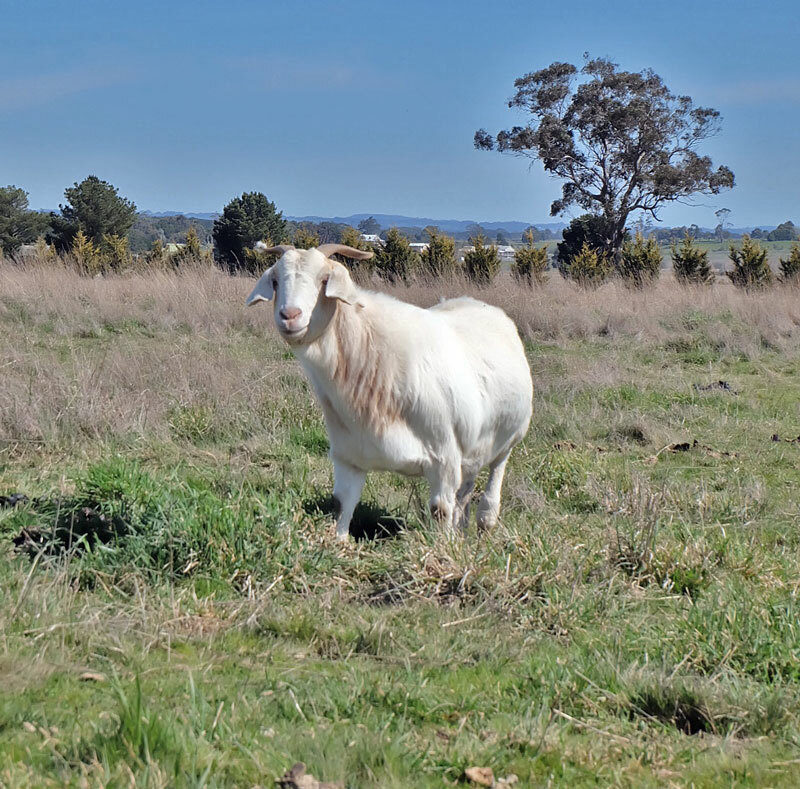 They either stay on our farm as pets, return to our breeder on King Island or start a new life with local charity, Riding for the Disabled in Bendigo. 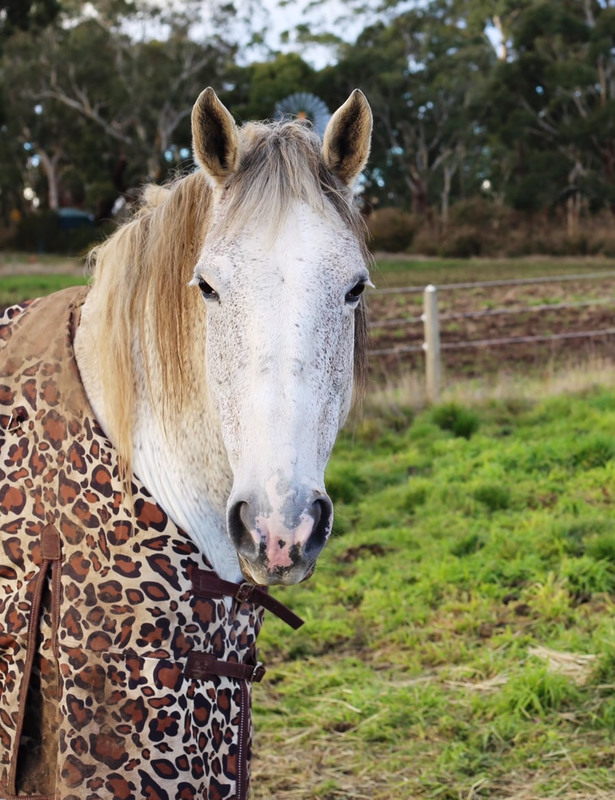 But most of all, our horses are treated with respect and dignity. 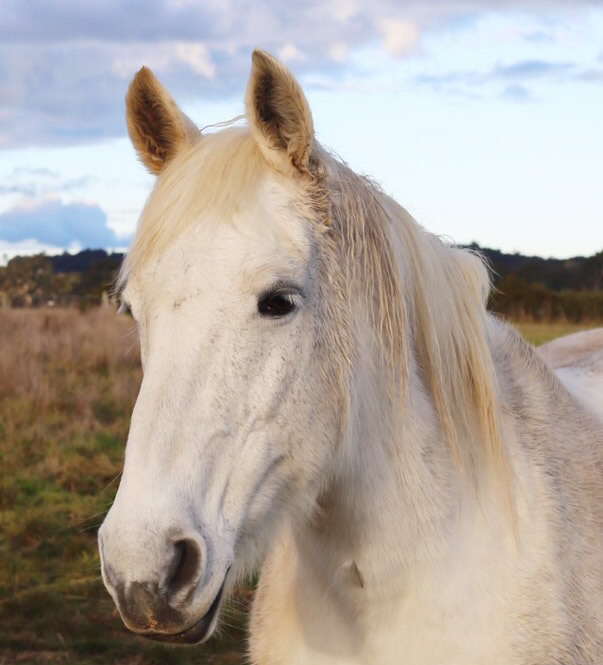 Each horse is unique, with its own temperament and personality. Understanding these is a big part of the work that we do. Our horses work Thursdays through to Mondays for a total of between 20 and 32 hours per week. On average they will work 4-8 hours in one day with regular rest breaks, and are regularly rotated back to our farm for rest or "spelling" time. When they aren't on the farm, their nights are spent in sheltered inner-city yards with access to hay and fresh water. You will often see our horses "catnapping" on the street during a rest period—this is typical horse behaviour as, unlike humans, horses do not require long, deep periods of sleep. Our strong safety record is in large part thanks to the quality of our shoeing. 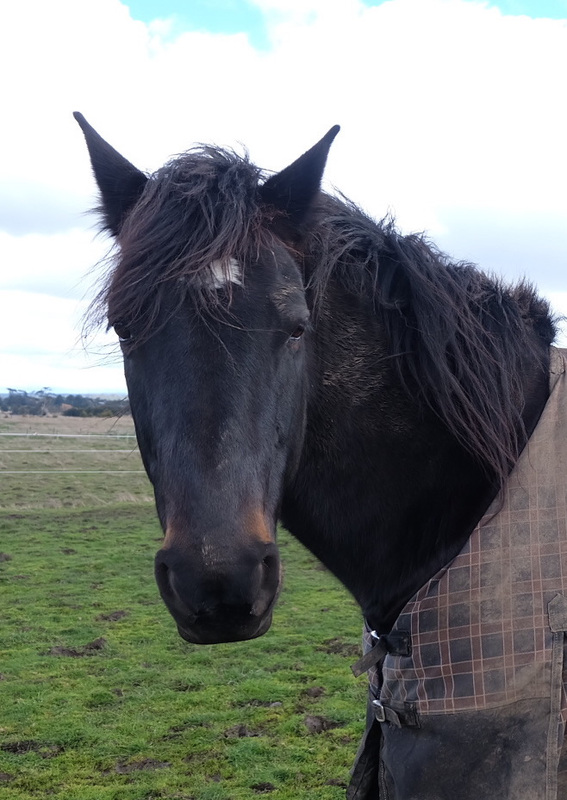 You will not find a better shod horse on the streets of Melbourne. The care of our horses' hooves is also critical to their wellbeing and ability to work in a city environment. At a weight of 600-700kg, horses need to walk comfortably and without discomfort on a hard surface. To achieve this, all four feet must be balanced correctly to suit the particular stance and movement of that horse. Our horses are shod every six weeks at our farm by an experienced equestrian farrier, using the best quality European shoes. This meticulous process of trimming and filing takes up to 1.5 hours per horse. We use a special weld on our shoes to give the best possible grip on road bitumen. This prevents slipping and sliding and uneven wear. 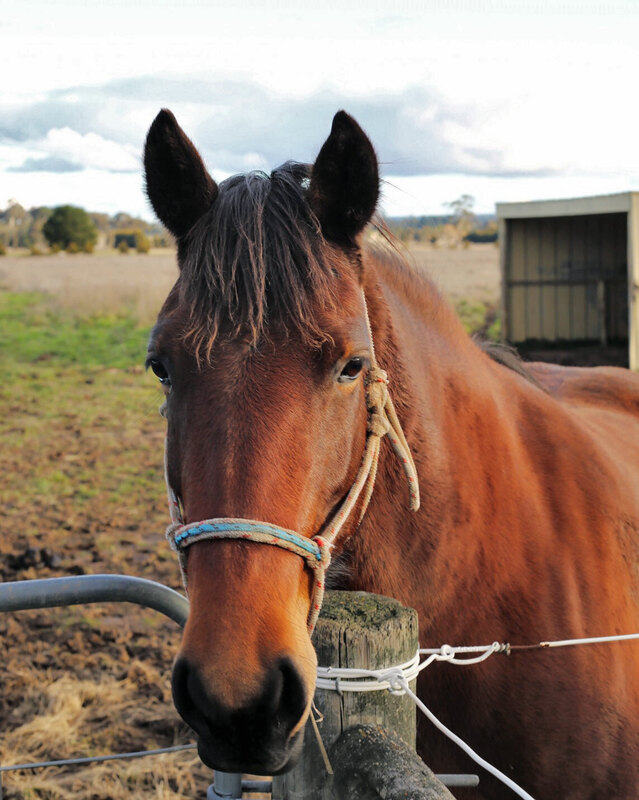 Horses have long been a part of Melbourne city life. Horse and cart was once the only means of transport in this cosmopolitan city, and today provides the perfect leisurely pace for taking in all that Melbourne has to offer. In the 1800s, horses were used to transport passengers, pull trams and unload cargo off ships at South Wharf for delivery to warehouses along Flinders Street. 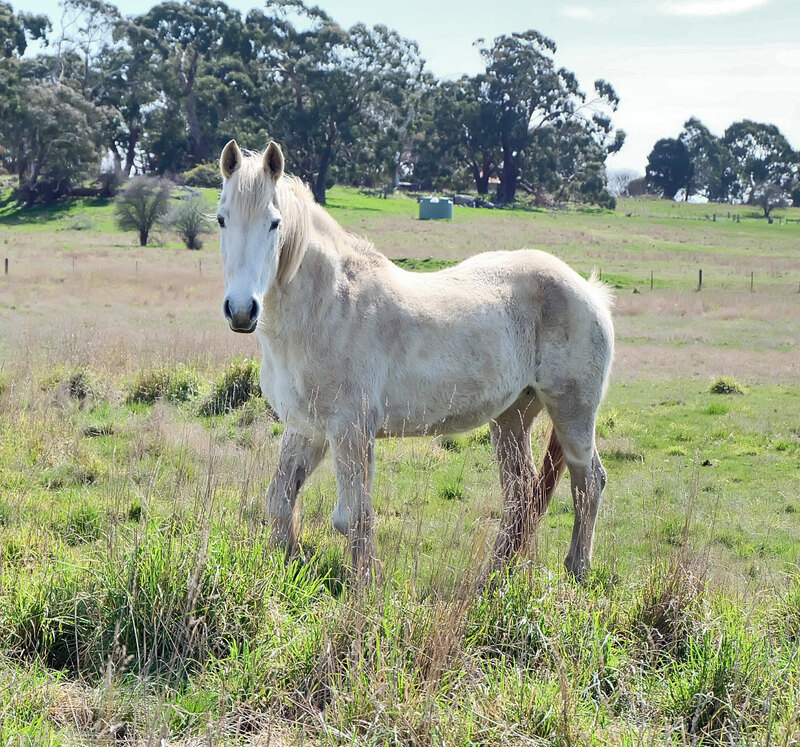 Our horses share 100 acres of farmland in the Macedon Ranges, approximately 70km north-west of Melbourne. This is where they spend the majority of their rest or "spelling" time. 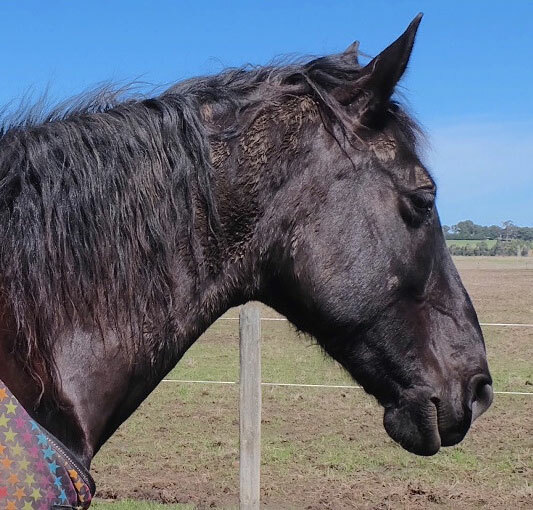 The journey from our farm to Melbourne is approximately one hour - a journey that each horse takes twice a week. They are regularly rotated back to the farm, where they enjoy the very best quality hay (also grown on our farm), oats and feed supplements. Our beautiful landau and vis-à-vis carriages are also built and maintained at Chases lane Farm.